Are you attending this year’s WTM in London? 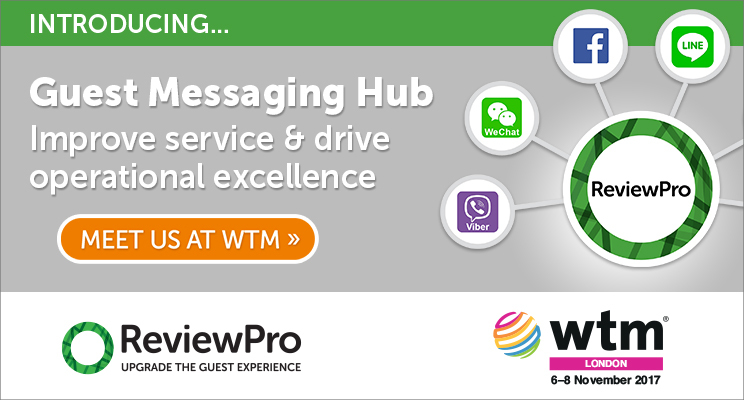 Stop by our stand (TT570) to preview our brand new product, the Guest Messaging Hub, and hear how leading hoteliers are focusing on exceeding guest expectations, giving rise to remarkable results. Don’t forget to stop by the Travel Tech Show Theatre on Tuesday 7th November at 11:15am to hear from our CRO, Michael Kessler, on “Innovative Techniques for Improving the Guest Experience”. If you’re not attending WTM, don’t worry! You can schedule a virtual meeting with one of our Guest Intelligence experts here.